The turtle, placed centrally in this design thought to follow the line of the inner biceps, symbolizes the centrality of family. 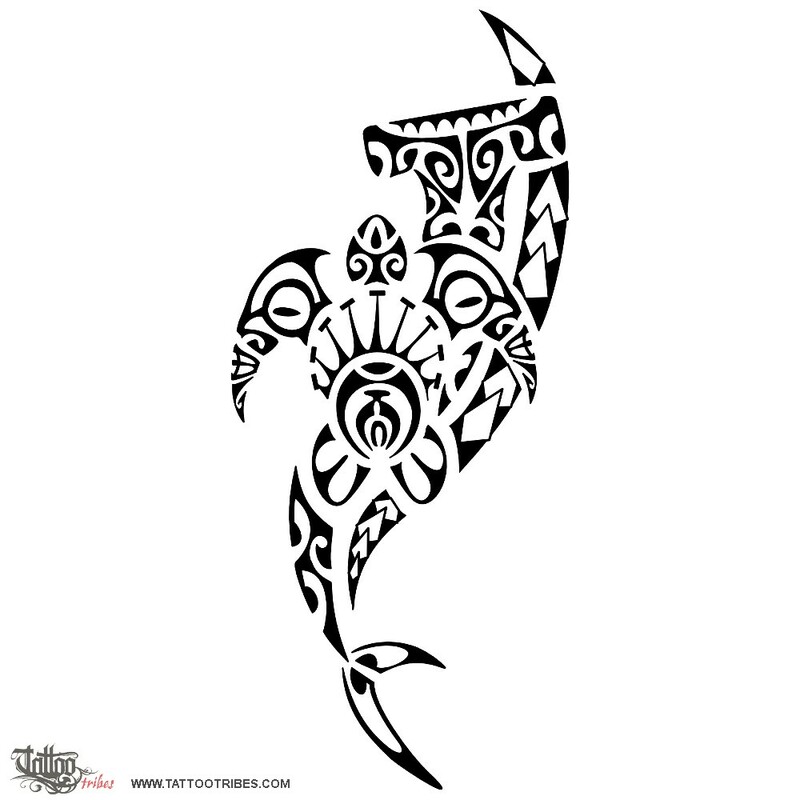 Both the all-seeing eye on the turtle shell (surrounded by the sun to represent eternity and positivity) and the flippers made of tikis are protective symbols, and the spear heads and hammerhead shark symbolize the warrior, determination, courage and strength protecting the family. 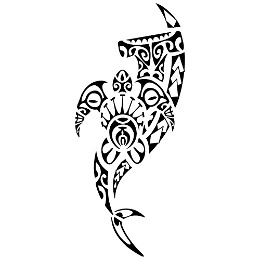 The bird in the head of the turtle symbolizes freedom, and fish hooks are for prosperity and wealth.